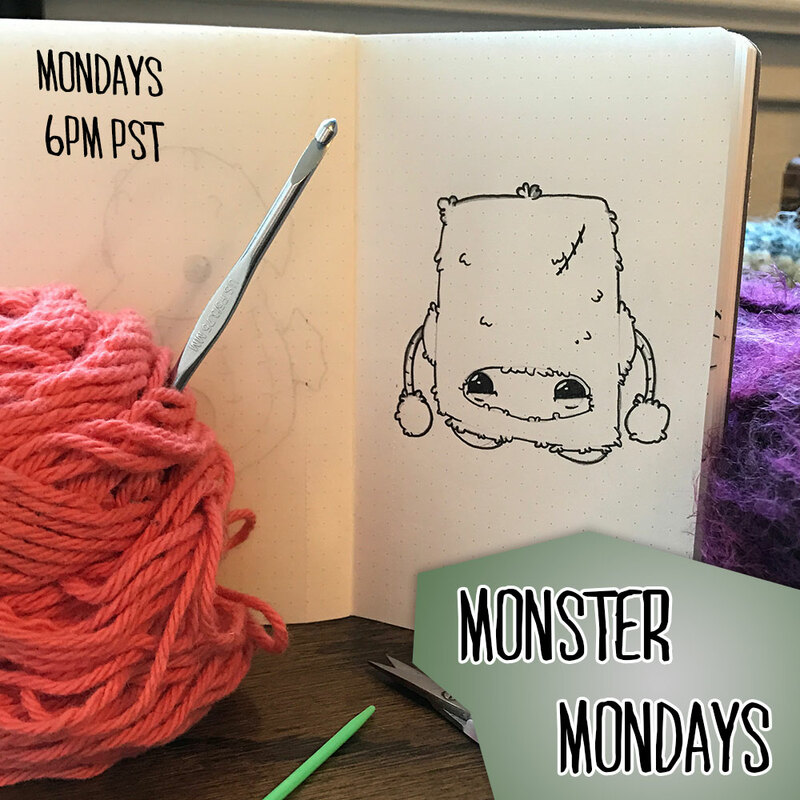 Watch me make a completely 100% original creature for the first time ever while we listen to some of my favorite tunes! And the audience gets to choose what goes into the creature, including the name! Crochet along with me while I make this weeks newest pattern! 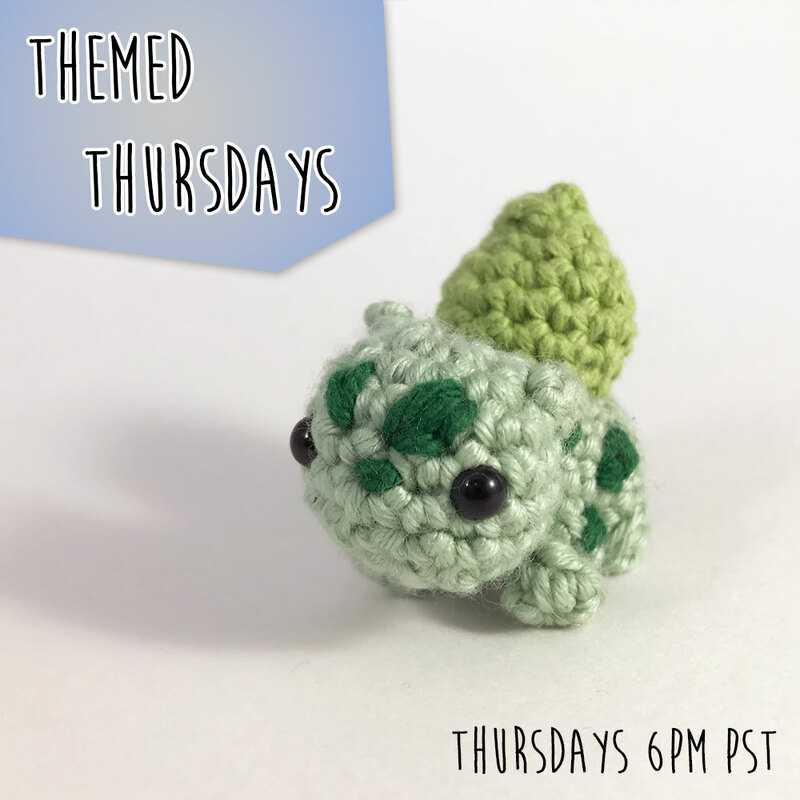 Every episode is themed, and this week is for a mini Bulbasaur! Oh and you get the pattern for FREE if you’re watching along! This entry was posted in Amigurumi, Blog, Crochet, Live, video, Youtube and tagged blog, live, livestream, louiesloopslive on January 3, 2017 by louibob118. Bummer, the stream is over 🙁 But I’ll be back every Monday and Thursday at 6pm PST! And you can still rewatch the live stream by becoming a Patreon supporter at http://www.patreon.com/louiesloops! 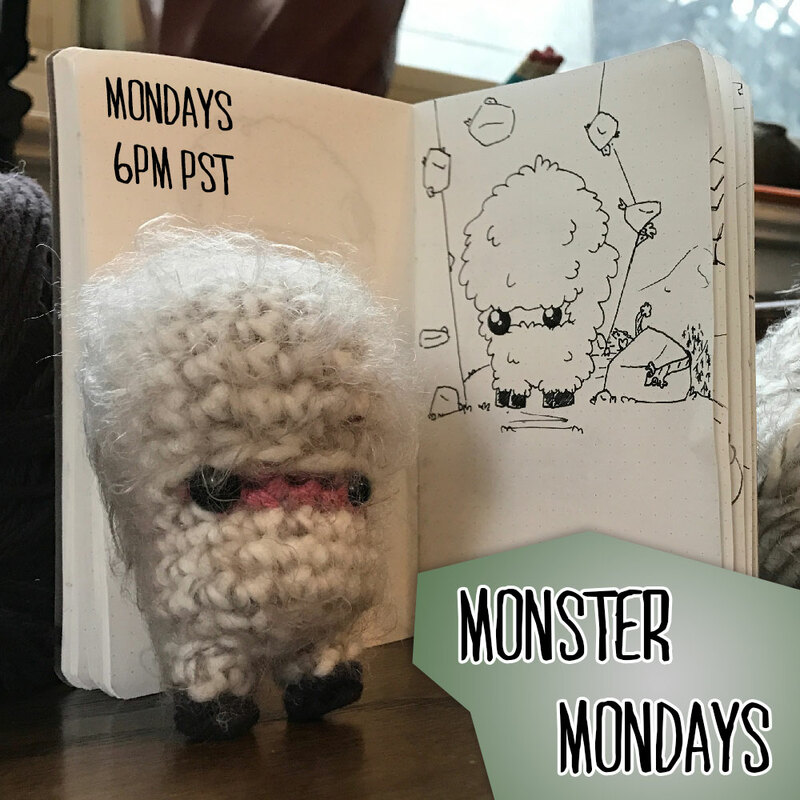 This entry was posted in Amigurumi, Blog, Crochet, Live and tagged creature, crochet, live, livestream, louiesloopslive, monster on January 2, 2017 by louibob118.